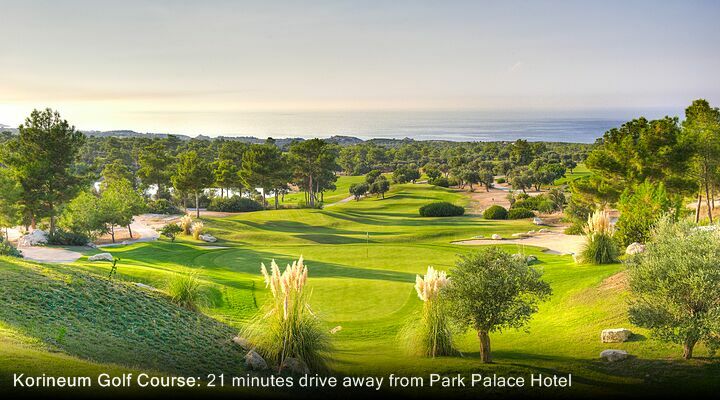 7 Nights from £419 inc Flights, Hotel & VIP Transfers - £180 OFF! 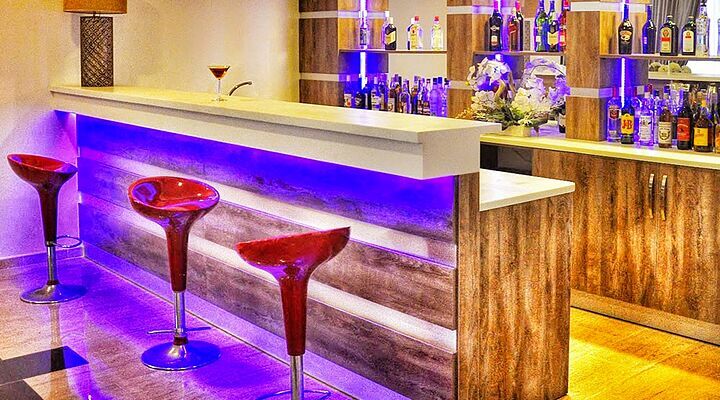 Park Palace Hotel provides modern rooms and facilities in a relaxing environment that will make their guests stay a truly memorable one. 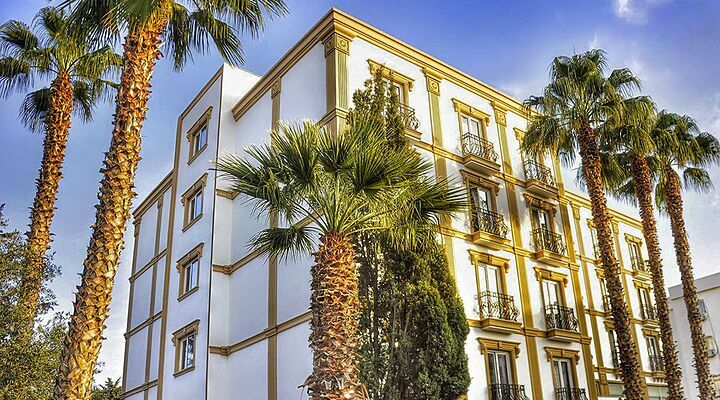 The hotel offers 43 exceptional rooms that's stylishly designed to make their guests stay unique. 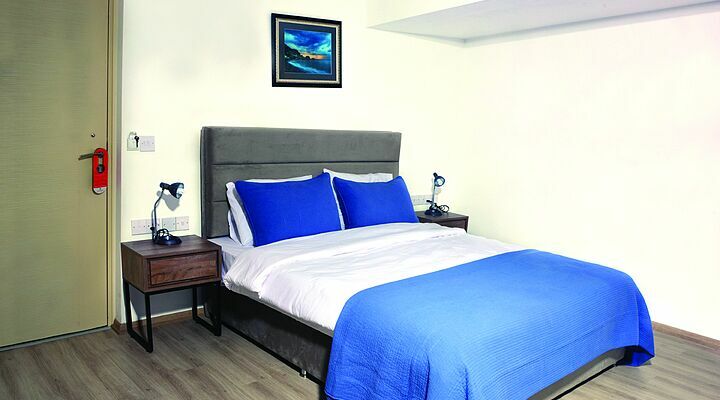 Each room offers modern amenities with free WI-FI available throughout the hotel for all guests. 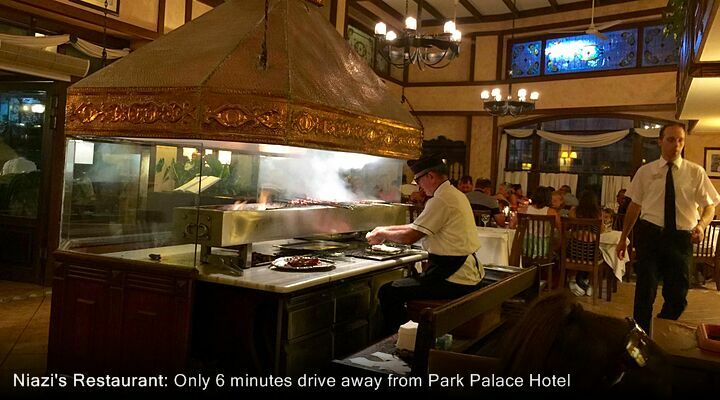 The friendly team at Park Palace Hotel will bend over backwards to ensure that their guests feel at home. Enjoy breakfast in the soul warming sunshine on restaurant terrace in the morning and the warm atmosphere of dinner in the evening. 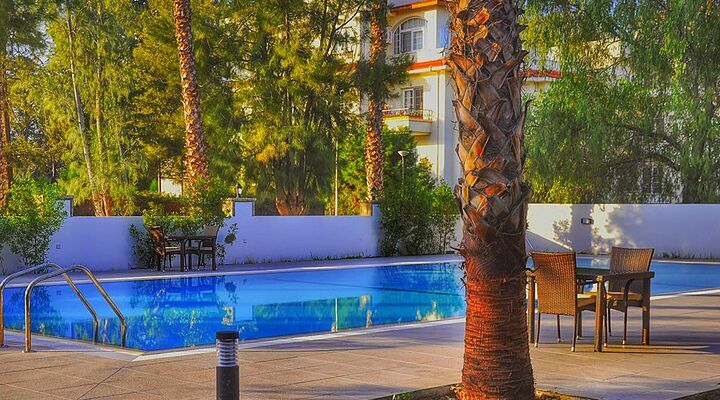 As well as other facilities, the hotel has a beautiful serene outdoor swimming pool surrounded by shady palm trees as well restaurant and bar where you can relax after a hard day's historical sightseeing or shopping from the near by city Kyrenia City Centre. 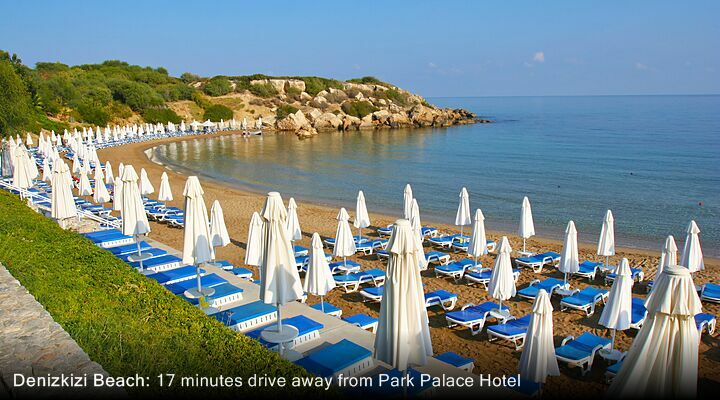 From the moment you arrive at Park Palace Hotel, you're assured of a warm welcome at this popular hotel in North Cyprus. The Park Palace Hotel staff will always be on hand to help you and bend over backwards to ensure your stay will be relaxing, comfortable and joyful. 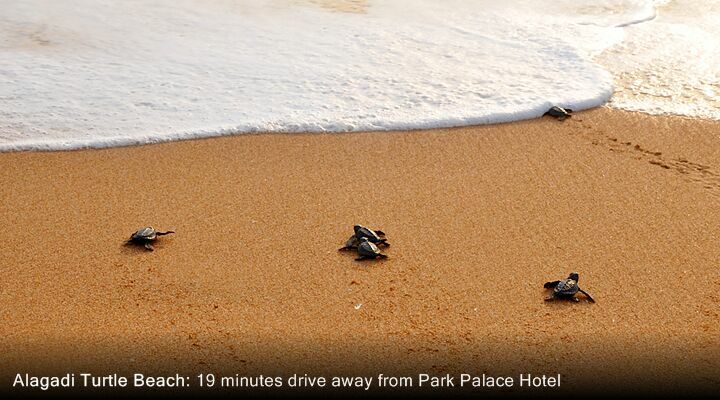 The Park Palace Hotel offers 43 exceptional rooms stylishly designed to make your stay unique. 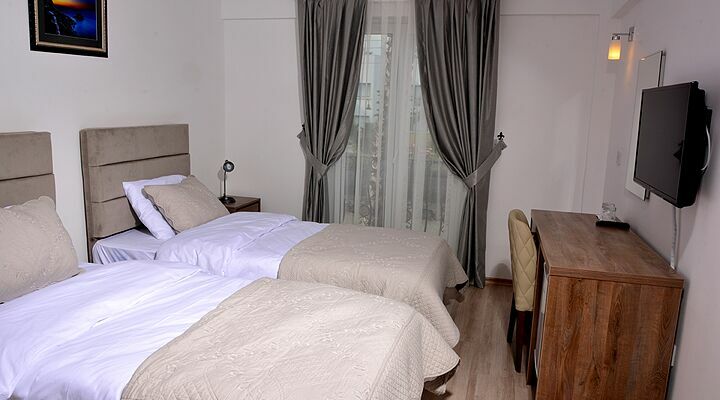 Each room offers modern amenities with Free Wi-Fi available throughout the hotel for all guests. 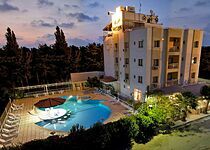 All rooms include: Luxury Double or Twin Beds, Flat-Screen TV’s, Air-Conditioning, Desk/Chair, Reading Light, Closet, Balcony, Slippers, Bathroom Amenities, Bathroom with Shower, Hairdryer, Free In-Room Safe, Smoke Detectors. Although The Park Palace Hotels beautiful restaurant offers a well thought out menu full of local flavours and aromas, its also recommended that guests adventure out to the local Kyrenia City Centre, Ozankoy or Bellapais restaurants to dine and experience the variations of the traditional cuisines and entertainment. 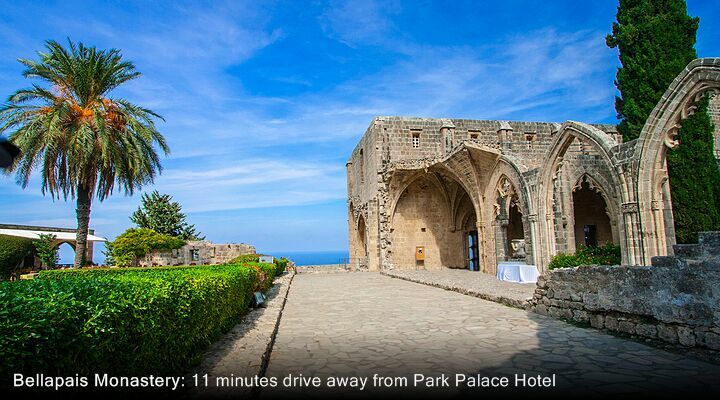 Kyrenia Castle & Harbour being local to The Park Palace Hotel is a lively and entertaining stretch of different restaurants and bars which is definitely a must see! 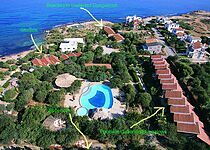 North Cyprus is often known as the jewel of the Mediterranean, an unspoiled gem that has maintained its natural charm. Nestled at the foot of the Kyrenia Mountains, the picturesque harbour town of Kyrenia is the perfect base from which to explore the beautiful northern coastline of the island. 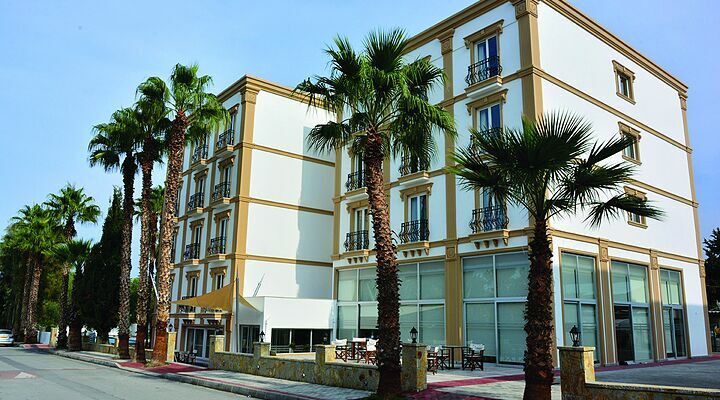 The Park Palace Hotel is located in the heart of Kyrenia and yet maintains an aura of calm and tranquility. 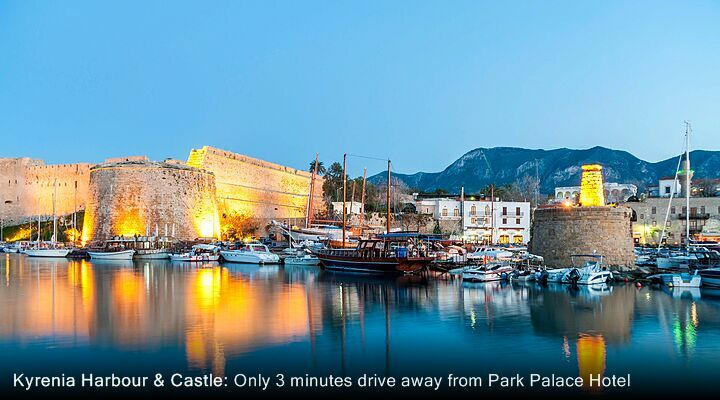 Just a short walk from the world famous Kyrenia Harbour and Kyrenia Castle, entertainment options are abundant with restaurants, bars and shopping close by. 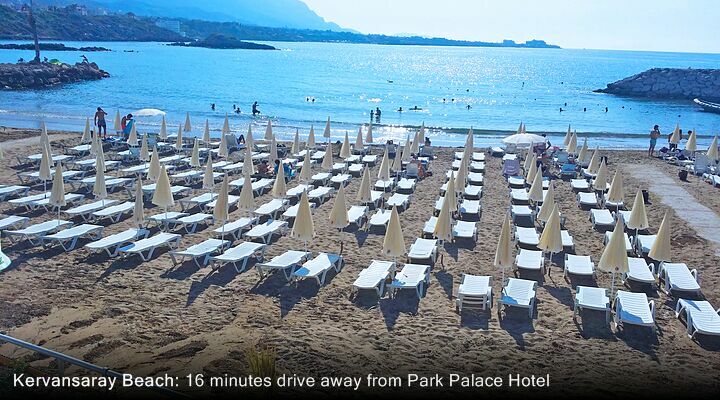 For beach-lovers, there are many beautiful beaches along the coastline and the Park Palace Hotel provides free daily transportation to a private beach nearby. 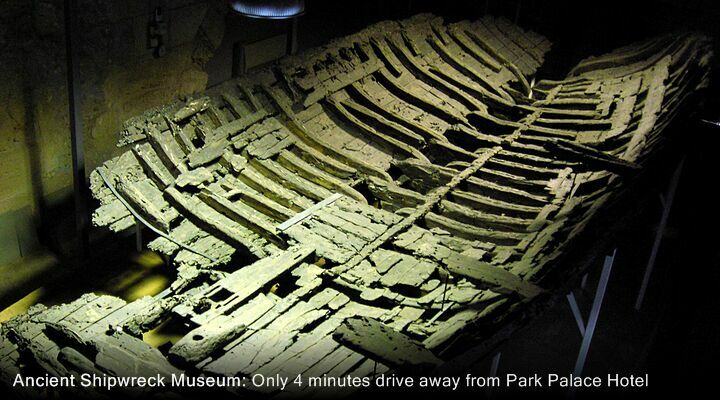 The Park Palace Hotel is in perfect location for those who want to venture out and go sight seeing. Kyrenia being surrounded by history and culture, the likes of Bellapais and Bellapais Abbey, Buffavento Castle, St Hillarion Castle, Mavi Kosk and Kyrenia Harbour are just a few of the many exaples of places to visit.